Somappa Rayappa Bommai was the 11th Chief Minister of Karnataka. He served as Chief Minister for Karnataka between the 10th of August 1988 and the 21st of April 1989. His term as Chief Minister was short but eventful. 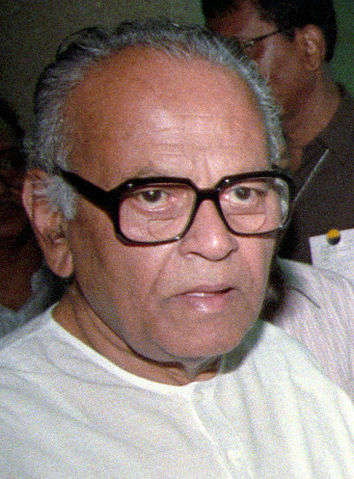 He was succeeded by the Presidents rule and subsequently, Veerendra Patil took office as Chief Minister in 1989. S. R. Bommai was a politician who was set on the path of leadership through the Quit India Movement. He was noted for his zealous participation in the freedom fight. Born on 6th June 1924 in a small village called Karadagi, S. R. Bommai’s early life resembled the lives of many politicians before him. He, like the politicians before him was a lawyer by profession. The distinctive feature about S. R. Bommai however was his passion and his dedication to the very end towards the welfare of the people. His political journey began with his election time and again to the Legislative Assembly in Karnataka. Further he was also a member of the Legislative Council between the years 1972 and 1978. Alongside J. H. Patel, H. D. Deve Gowda and Ramakrishna Hegde, Bommai was instrumental in setting up the Janata party. He is credited with presiding over the conference in Bangalore that gave birth to the Janata party. He was the muscle behind the strong opposition that the Janata party posed to the Congress party. During Ramakrishna Hegde’s tenure as Chief Minister, S. R. Bommai was entrusted with the Industries portfolio. Once Ramakrishna Hegde resigned as Chief Minister due to the various allegations, S. R. Bommai was the natural choice as Chief Minister. His role as Chief Minister was woefully short lived. The lack of support for the Janata party and the fall out of majority meant that he was dismissed by the Governor at the time, P. Venkatasubbaiah. This dismissal was not accepted by Bommai. His request for time to prove the party’s majority was denied. This denial led to a challenge case in the Supreme Court. The court case had repercussions across the board. The instances of the President’s intervention reduced significantly after the case. Post his term as Chief Minister, Bommai remained in the political domain. He was chosen to be the National President for the Janata party between 1990 and 1996. While he was the President, he was also elected to the Rajya Sabha in 1992 and again in 1998. Further he was the Union Minister for Human Resource Development. Between his many posts, the fact that S. R. Bommai was a true leader and his thoughts for the welfare of the people was a constant. Further S. R. Bommai was an “Ekikarna” activist, he played a significant role in unifying the various provinces like Bombay Presidency, Mysore Kingdom and Madras Presidency into what is today called Karnataka. His role and participation in the movement was recognized through the Ekikarna Award. His role as a politician was influenced by his administrative experience through the various portfolios that he held and also his experience from being an advocate for over thirty years. He is remembered to this day for his role in the re-organization of Karnataka and his role in creating and empowering the Janata party.